The Palestinian Authority finance minister complained Thursday it is getting harder each month to keep Chairman Mahmoud Abbas' cash-strapped government afloat. Nabeel Kassis's warning comes as Ramallah struggles with what is being described as its worst financial crisis in years. Kassis said in a Thursday interview that "after a while we will just become too weak to continue," without specifying what would happen. The PA economy is propped up by foreign aid, and Kassis says this dependence will continue unless the international community "pushes to end Israeli occupation of Palestinian territories." "Israel's restriction on Palestinian trade and movement are seen as the main impediment to growth," he added. Kassis' comments come on the heels of the International Monetary Fund denying a $100 million bridge-loan to Ramallah despite Jerusalem's vouchsafing the request. 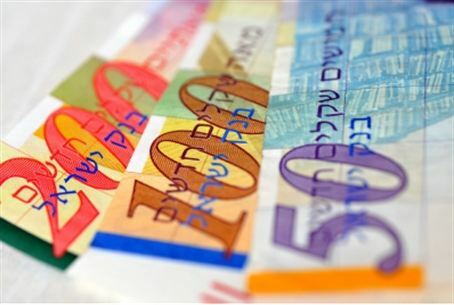 Palestinian Authority prime minister Salam Fayyad approached Bank of Israel Governor Stanley Fischer in search of Israeli assistance with obtaining the loan earlier this year. Israeli assistance in seeking the loan – approved by Prime Minister Binyamin Netanyahu – was necessary as the PA is not a state and cannot apply for a loan on its own behalf. Instead, Fischer applied for the loan intending to forward the money to the PA, who would, in turn, repay the debt directly to the IMF. However, the IMF rejected Fischer's request on the Ramallah-based PA's behalf, saying it did not want to set a problematic precedent for loans by proxy, due to the PA's near insolvency. The Netanyahu government has backed Ramallah's requests for international economic assistance because it sees the PA's survival as key to any future peace agreement. The World Bank has also given a stark assessement of Ramallah's finances, saying the Palestinian Authority's economy "isn't strong enough to support a state," citing heavy reliance on foreign aid. Dr. Mohammed Shatiya, an economist of the Fatah Central Committee, agreed with the World Bank's conclusions that the PA's economy is in decline, as unemployment and poverty rates rise. "The World Bank report is accurate in its assessments of the Palestinian economy," Shatyia said. "All signs indicate that the Palestinian economy will not recover this year." The World Bank report, which was released on Wednesday, said sustainable growth will come only through an emphasis on trade, integration and creating a dynamic private sector. The bank also said "Israeli restrictions remain the biggest impediment to investing, creating high uncertainty and risk." Shatiya agreed that Israel has great responsibility in the PA's economic crisis, but stressed other factors are also at work. The crisis "is also due to also due to the Authority's dependence on foreign aid," he said. Since early in the summer of 2011, Ramallah has been unable to pay salaries to government employees, or make good on its contracts with private companies. Observers note, however, that the current economic crunch noted by Kassis is only the latest phase of a protracted and progressively worse fiscal outlook in Ramallah. In September 2011, the top PA monetary official warned that cessation of foreign aid from the United States could lead to fiscal ruin and collapse. "Really, the risk of a PA collapse is very real under the financial strain, without US assistance, without donor assistance in general," Palestinian Monetary Authority Governor Jihad al-Wazir said last year. PA prime minister Salam Fayyad has made equally blunt statements about how critical the transfer of some $100 million in tax revenues from Israel each month is to Ramallah. Citing a downturn in foreign donations from the European Union and Arab states, Fayyad admitted the PA would have to close its doors without economic cooperation with Jerusalem. In 2011 only $331 million out of $970 million promised to the PA by foreign donors was delivered.